While bookshelves are ideal for storing books, they’re also a great place to display art and collectibles. Yet we all know the fine line between lovely bookshelves and a cluttered pile of things on a shelf. So how do you ensure your multi-purpose shelf doesn’t look cluttered? When carefully designed, a bookshelf can add beauty and decor to any living space. Bookshelves look best when they’re not overcrowded. Resist the temptation to overfill them for the sake of convenience and instead allow for purposeful gaps in order to create a more attractive arrangement and to give the eye a place to rest. 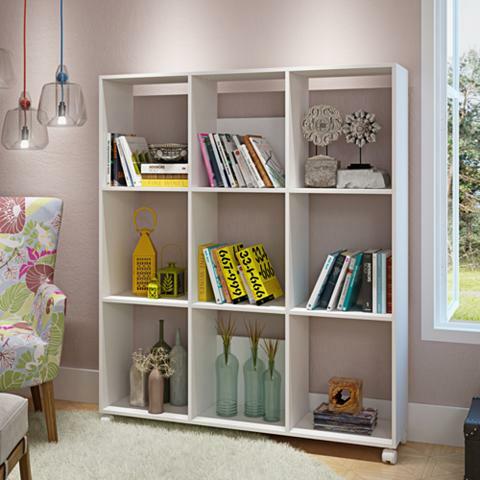 Don’t overstuff your bookcase – be sure to leave gaps and space. Bookshelves aren’t just for books! As mentioned above, they can be the perfect place to show off your art pieces, photograph, paintings, and treasured collectibles. Variety is key and adds visual appeal. Bookshelves are another opportunity to introduce color into your home; painting the back transforms the ordinary shelving unit into something special and provides a focal point for your favorite things on display. The frames of your bookshelves are not to be ignored. Consider a unique work of art or a wall mirror to suspend on your bookshelves for added dimension and another layer of interest. There’s no requirement that you need built-ins to have stylish bookshelves. As an alternative, consider a freestanding unit and style it with the same design principles. Balance your display with a mixture of books, collectibles, and artwork in interesting balanced arrangements.